Hold up. Let me wipe the drool from my chin. Yeah, these were good. I mean really good. I mean, let's have these leftovers the next night and they even taste better good. I liked them. Preheat oven to 425 degrees. Mix together 1 cup of the cheese and the chicken. Place an equal amount of the chicken mixture into each tortilla. Roll up and place seam side down in a lightly greased, 9 x 13-inch pan. In a skillet or saucepan, melt the butter. Stir in the flour and cook for 1 minute. Add the chicken broth, whisking until smooth. Cook over medium heat until thick and bubbly. Stir in the sour cream and green chiles. 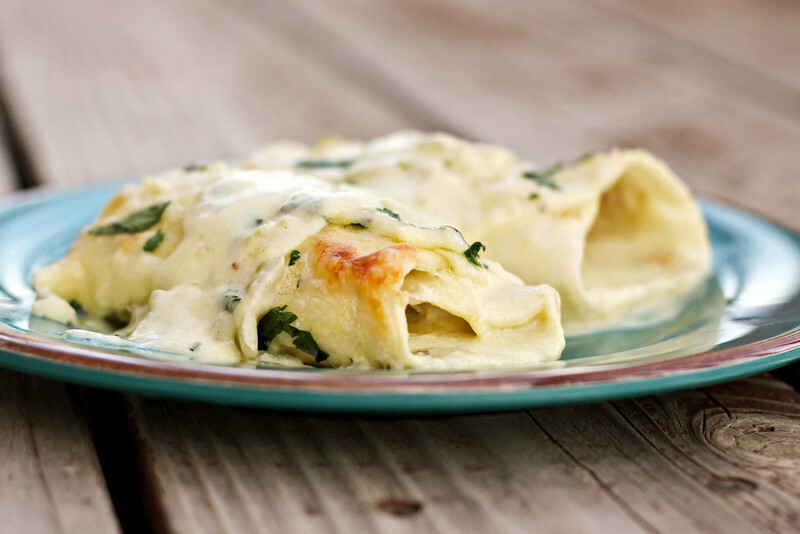 Pour sauce over the top of the enchiladas; sprinkle with remaining shredded cheese. Bake for 20 to 25 minutes. Sprinkle with cilantro, if desired.